This article was written By John Berra on 19 Dec 2010, and is filed under Reviews. In 1994, the documentary filmmaker Mike White delivered a minor blow to Quentin Tarantino’s prematurely over-sized ego when he hit the festival circuit with Who Do You Think You’re Fooling?, eleven minutes of deft cinematic analysis which set out to prove that Tarantino’s wildly acclaimed first feature Reservoir Dogs (1992) was not the dazzlingly original debut that critics had unanimously proclaimed it to be, but was instead a slavish imitation of the Hong Kong crime thriller City on Fire (1987). The earlier film was, of course, directed by Ringo Lam and starred Heroic Bloodshed legend Chow Yun Fat as an undercover cop infiltrating a gang of jewel thieves, a plot that was reworked by Tarantino for his first feature. While it has been argued that Tarantino is a cinematic plagiarist, the general critical consensus is that he revitalises much of the material that he revisits; cracking performances from a the high calibre cast, endlessly quotable dialogue, and a well-executed non-linear narrative structure have ensured Reservoir Dogs a place in the crime film hall of fame, regardless of White’s finger-pointing. However, if White is still looking for an appropriate follow-up project to Who Do You Think You’re Fooling?, he should check out Atsushi Muroga’s overly-similar Score, which has the sheer cheek to not only rip-off Lam’s film, but to also steal from Tarantino’s more widely-seen homage, resulting in an underwhelming hybrid of two much better movies. Chance (Hitoshi Ozawa) is a resourceful career criminal, recently been released from prison due to his high-level yakuza connections. The price for his freedom is that he must carry out a series of high-stakes robberies, culminating in a jewelry heist. In order to pull-off this final score, Chance puts together a team which consists of three other criminals: Peking Duck, who was worked with Chance on other occasions, the rather sarcastic Right, and Tequila, who exhibits psychotic tendencies. Peking Duck is wounded in the getaway, but the robbery is otherwise successful. 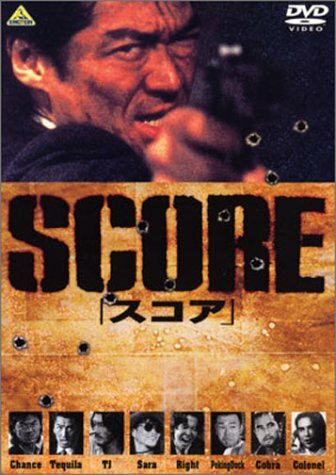 However, when the crew reach the abandoned warehouse which has been chosen for their rendezvous with the yakuza, unexpected complications ensue; a pair of ambitious grifters arrive on the scene and try to relieve the robbers of their loot, almost managing to do so through sheer confidence in their abilities rather than any experience of dealing with such dangerous marks. What follows is a series of shoot-outs and stand-offs, with everyone trying to get their hands on the stolen stash before the cops turn up to arrest the last man standing. Muroga is obviously also a fan of American popular culture as Score is riddled with such references, relevant or otherwise; the crew wear black-and-white formal attire, as in Reservoir Dogs, while the male grifter refers to himself as ‘Doc Holliday’ and the rusty canister which contains the loot from the jewellery store robbery has ‘Farewell my Lovely’ scrawled on it, although it is unlikely that this latter reference would mean much to the local audience. The final shot is even stolen wholesale from Butch Cassidy and the Sundance Kid (1969). Hong Kong cinema arguably wins the battle of the influences, though, as Score revolves less around Tarantino-style dialogue and character dynamics than it does around hectic set pieces as the criminals try to outmanoeuvre one another and forge uneasy alliances amid the gunfire. These bursts of action are undermined by a lack of involvement in the participants; Chance has agreed to sacrifice the rest of his crew once the loot has exchanged hands, but any conflict he feels about this arrangement is largely concealed behind his sunglasses and macho posturing. ‘There are two kinds of men in this world’, opines Chance, ‘those who get the money and those who get the bullet.’ Muroga’s attempts at characterisation unfortunately subscribe to the same reductive philosophy. 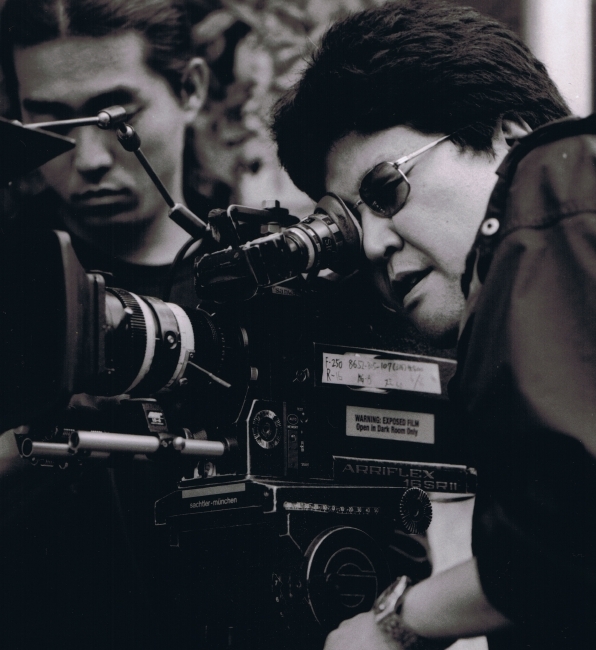 Score was made at a time when the Japanese film industry was trying to recover from an economic recession, but this was never going to be the film that would enable studio Shochiku to pack out the newly developed multiplex theatres. Production values are threadbare and locations are geographically unconvincing; some of the action is supposed to be set in the United States, but was obviously shot in the Philippines as the police cars have ‘Manila’s Finest’ printed on them. In addition, the warehouse location has confined space potential but just ends up looking like a cheap option due to the drab cinematography. As an imitation of the Heroic Bloodshed genre, Score is passable enough in terms of body count, but Muroga fails to convey the themes of loyalty and honour which were expressed visually by Lam and John Woo, and later verbalised by Tarantino. The fact that the late reveal that one of Chance’s crew is actually an undercover cop carries no dramatic weight whatsoever only serves to underline the impression that Score is merely a shallow genre exercise. City on Fire and Reservoir Dogs may be the obvious models, but Score is so inept in its attempt at cinematic grand larceny that another breakdown by Mike White is probably not needed after all.